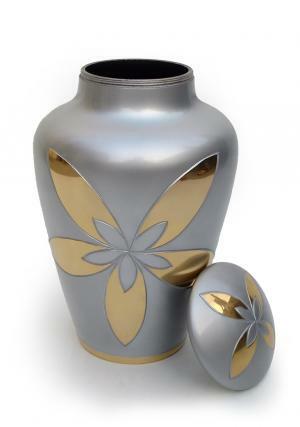 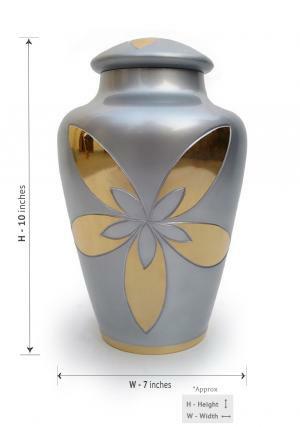 Galaxy star large adult ash gray memorial human urn is a brass made beautifully polished big funeral urn used for preserving cremated ashes of loved ones. 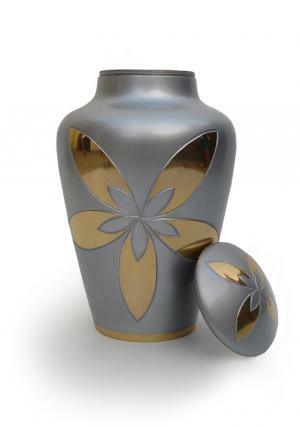 The large cremation ash gray urn is presented in engravings of star flower in gold well polished to shine and base rimmed in gold at bottom. 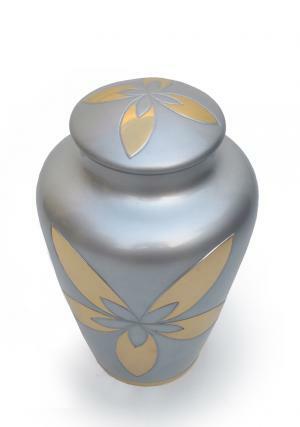 The great sized large human ashes urn is an hand chosen and engraved from skilled professionals with the experience of artwork presented on the urn. 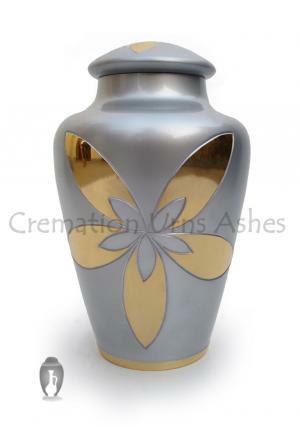 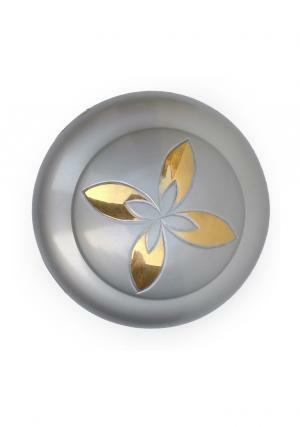 The dimensions of Galaxy star large adult ashes gray memorial human urn is 10 inch height, 7 inch width & length.